So lately I’ve been in a bit of a creative rut. Maybe it’s the dreariness of winter that’s hanging on with all its might, or maybe it’s……nah, it’s totally the weather. 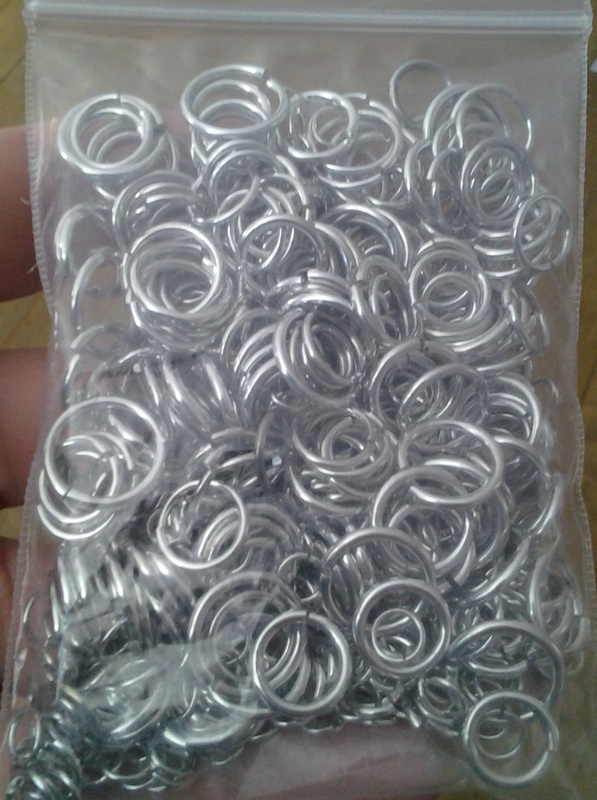 In any case, I bought this all-aluminum grab bag of assorted rings from Blue Buddha Boutique, hoping for inspiration. No, BBB isn’t reimbursing me in any way for this plug; I just really love their rings and will happily recommend them to fellow crafters. When it first came, I fondled the bag, feeling the rings moving under my fingers. So many different sizes, all of the rings brilliant and silvery. I poured them, jangling and tinking against each other, onto my craft table. Spread them into a large flat layer with my hands, and watched them sparkle thanks to a brief flash of sunlight that’d poked its way through the clouds. Then, I started to see it in my head; bits and flickers of a possible piece of something awesome. 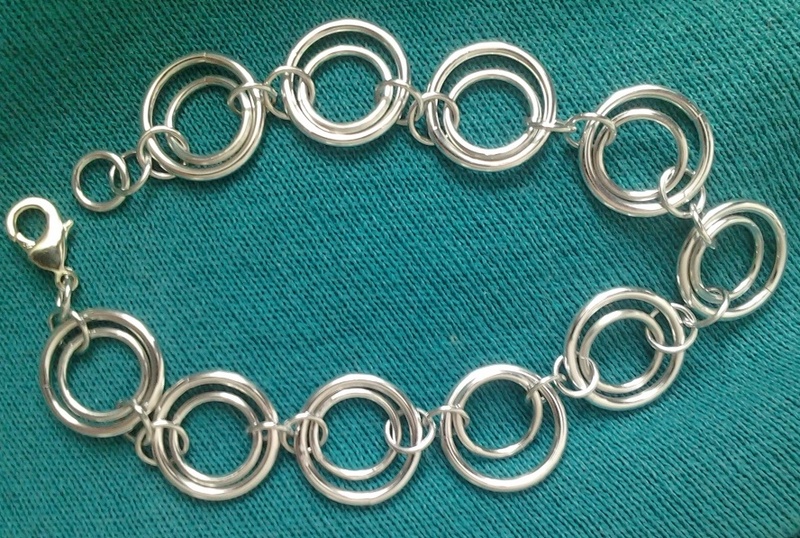 Fitting together the rings that I needed like a brilliant jigsaw puzzle, this is what has been borne of the grab bag – so far. I say so far because there are still LOADS of rings left in the bag, and still more ideas in my head. It’s amazing what new materials and some sunlight will do. Next up? 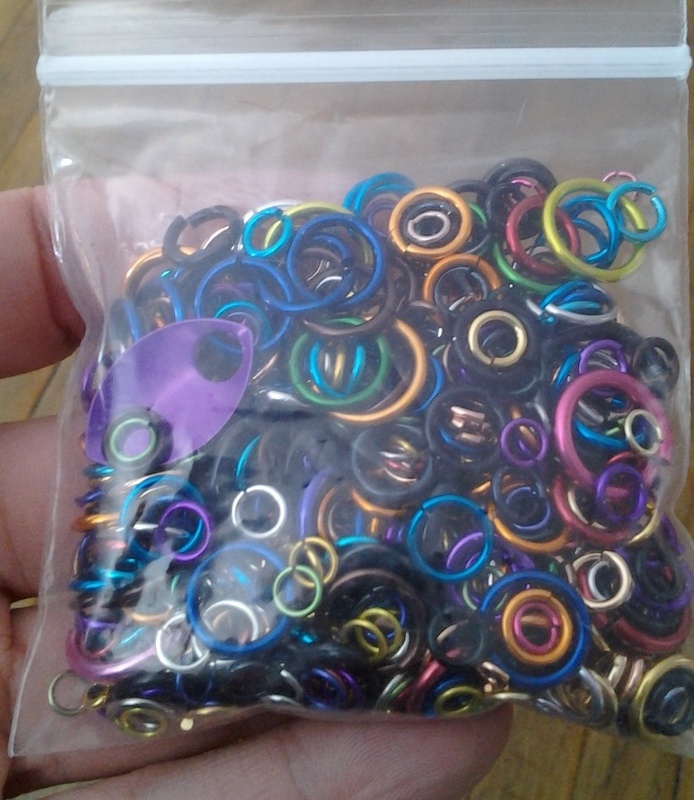 The anodized aluminum rings! Filthy maille-y fingers! Also, a mangled manicure. Guess what I’m working on?